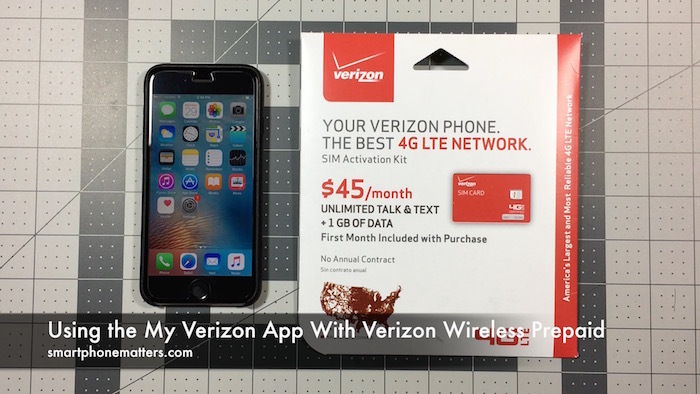 After signing up for Verizon Wireless Prepaid with my iPhone 6, I decided to check out Verizon Wireless’s My Verizon app. With My Verizon you can manage your account directly from your iPhone. I started by going to the App Store and searching for Verizon Wireless, where I found nine apps published by Verizon Wireless. I decided to only install My Verizon and leave the rest for another time. After installing the app I was able to create a My Verizon account. The process was pretty straightforward, and I had my account created in a few minutes. The Home screen display my Plan Cost, Available Balance, an Renew Date. There is a button to set up Auto Pay and Add Funds. Below that there is an option to review your usage, and it displays your Remaining high speed data. I was pretty impressed with the My Verizon app. I haven’t made a payment with the app yet or signed up for Auto Pay, so I still need to make sure that important feature works well.